The 8ft and 10ft Hopup backwall displays from Thompson Kerr Displays, are some of the most dynamic and popular large format displays due to its maximum impact with minimal effort. 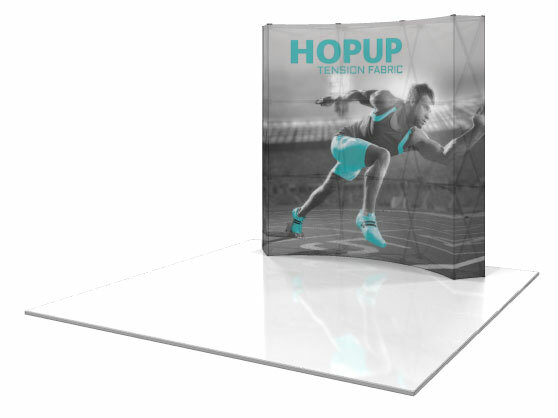 Hopup collapsible 10ft inline tension fabric displays feature an integrated fabric graphic that makes it the fastest and one of the easiest displays on the market. 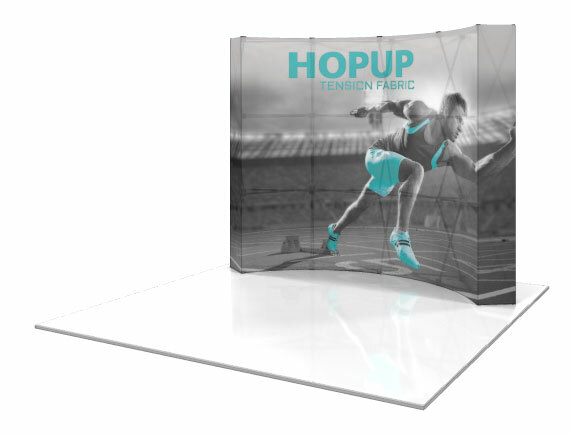 Simply expand the collapsible frame and you have a fast and impactful 10ft inline display.